In all work of reasonable complexity, there is a moment-to-moment risk that equally important tasks will overwhelm the human mind. In knowledge work this may be doubly true, due to the intangible “fuzziness” of any particular task. For groups that are charting out how they will work one of the most practical and useful things they can do is build a checklist. Although creating a checklist may seem like an open-and-shut exercise, often it uncovers a manifest of issues. Because a checklist is a focusing object, it demands that the team discuss the order and importance of certain tasks. Team members are likely to have different perspectives on these things, and the checklist is a means to bring these issues to the surface and work with them. It’s most useful to create the checklist in order of operation, from first to last, but in some cases a ranked or prioritized list is more appropriate. Consider which the group would benefit more from creating. Have the group order the tasks into a procedure. 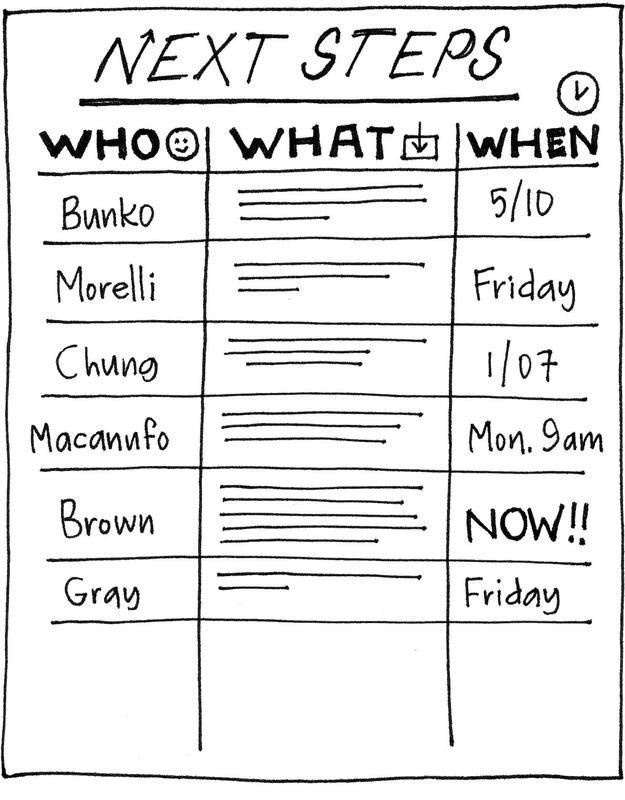 Use sticky notes so that the individual tasks can be moved. Given a space with a beginning and an end, the group can discuss and debate the ordering while creating the list in real time. Have the group force-rank the tasks. In this case, the group must decide the order of importance of the tasks. By doing this, the group may be able to agree to cut items from the bottom of the list, making their checklist shorter and more direct. In all cases, the discussion and reflection that come out of the initial brainstorming will be where the most progress is made. It is likely that new ideas will surface and be added to the checklist in the discussion. Coming out of the discussion the group’s next step is to capture the checklist as an artifact and share it with others who can test it and improve it. 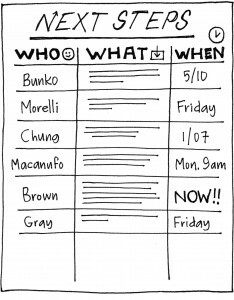 The Build the Checklist game is credited to James Macanufo. 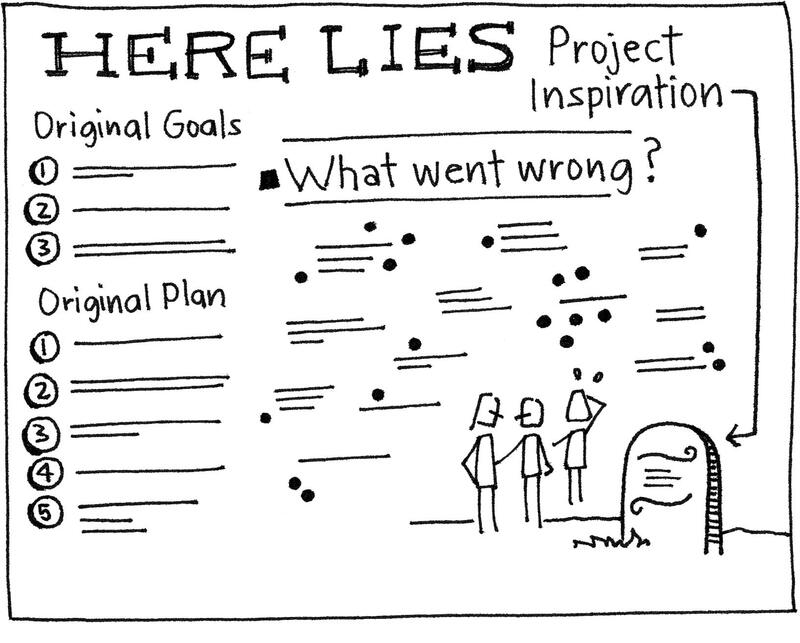 Often in projects, the learning is all at the wrong end. Usually after things have already gone horribly wrong or off-track, members of the team gather in a “postmortem” to sagely reflect on what bad assumptions and courses of action added up to disaster. What makes this doubly unfortunate is that those same team members, somewhere in their collective experience, may have seen it coming. 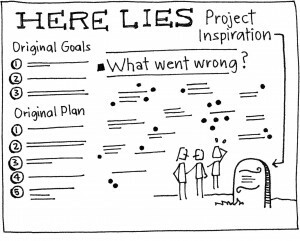 A pre-mortem is a way to open a space in a project at its inception to directly address its risks. Unlike a more formal risk analysis, the pre-mortem asks team members to directly tap into their experience and intuition, at a time when it is needed most, and is potentially the most useful. This is an opportunity for the team to reflect on their collective experience and directlyname risks or elephants lurking in the room. It’s a chance to voice concerns that mightotherwise go unaddressed until it’s too late. A simple discussion may be enough to surfacethese items among a small team; in a larger group, Post-Up or list generation maybe needed. To close the exercise, the list of concerns and risks may be ranked or voted on to determine priority. The group then decides what actions need to be taken to address these risks; they may bring these up as a part of ongoing meetings as the project progresses. Conducting a pre-mortem is deceptively simple. At the beginning of a project, the forward momentum and enthusiasm are often at their highest; these conditions do not naturally lend themselves to sharing notions of failure. By conducting a pre-mortem, a group deliberately creates a space to share their past learning, at a time when they can best act on it. The source of the Pre-Mortem game is unknown. It’s similar, and related to, the Innovation Game: “Remember the Future” designed by Luke Hohmann. The Greek philosopher Heraclitus asserted that change alone is unchanging. 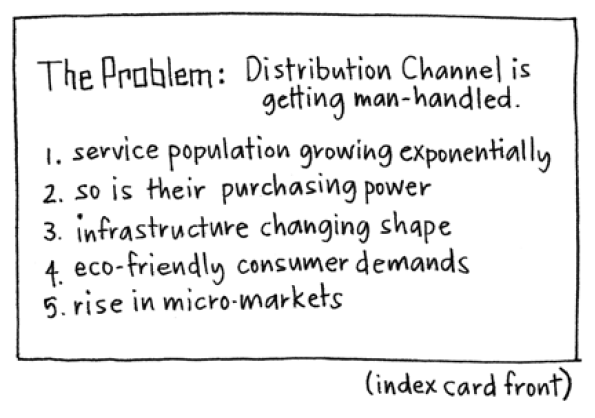 This is certainly true in today’s competitive global marketplace. As employees, we’re often responsible for understanding and even anticipating change in order to stay ahead. 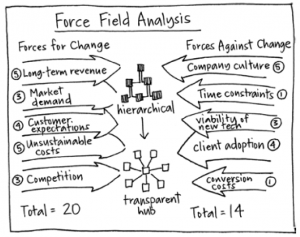 The Force Field Analysis game is a time-tested way to evaluate the forces that affect change which can ultimately affect our organizations. Making a deliberate effort to see the system surrounding change can help us steer the change in the direction we want it to move. 1. 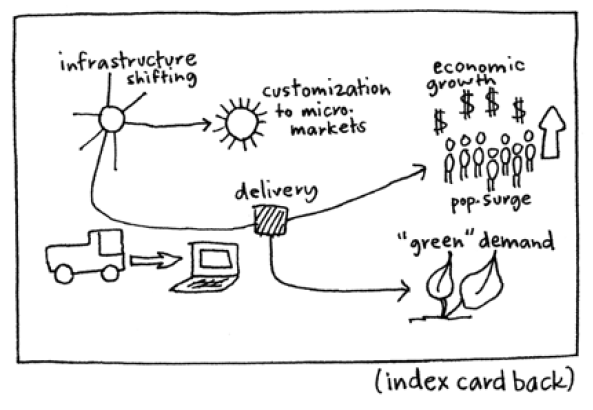 Before the meeting, draw a picture of a potential change in the middle of a large sheet of paper or a whiteboard. You can draw a literal representation (e.g., a manufacturing plant) or a more abstract representation (e.g., a metaphor). Label the picture to ensure that everyone participating will be clear on the topic. 2. On the top left of the page, write the phrase “Forces FOR Change”. On the top right, write the phrase “Forces AGAINST Change”. 3. Draw arrows on both sides pointing toward the image in the middle. These will be the areas that contain categories generated by the group, so make the arrows large enough to write 1–2-inch letters inside. If you like the “wow” factor of drawing live with the group but you’re not yet comfortable with freehand, sketch the arrows in pencil or yellow marker and trace them during the meeting. 4. When the group is gathered, introduce the change topic and explain that the goal of the Force Field Analysis game is to evaluate the feasibility of that change. 5. Ask the players to take 5–10 minutes and quietly generate ideas about what elements are driving the change. Tell them to include one idea per sticky note. 6. Ask the players to take 5–10 minutes and quietly generate ideas about what elements are restraining the change. 7. Draw a simple scale with a range of 1 to 5 on your main flip chart. Indicate that 1 means the force is weak and 5 means the force is strong. 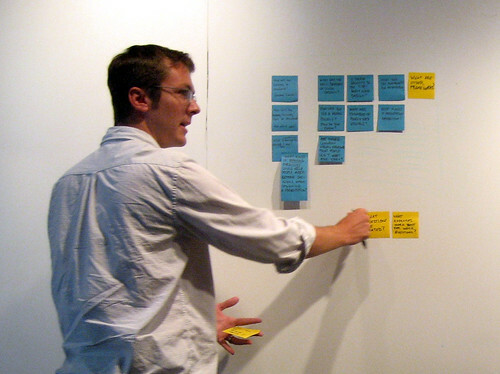 Ask them to review each idea FOR change and add a number to that sticky note, weighting that idea. 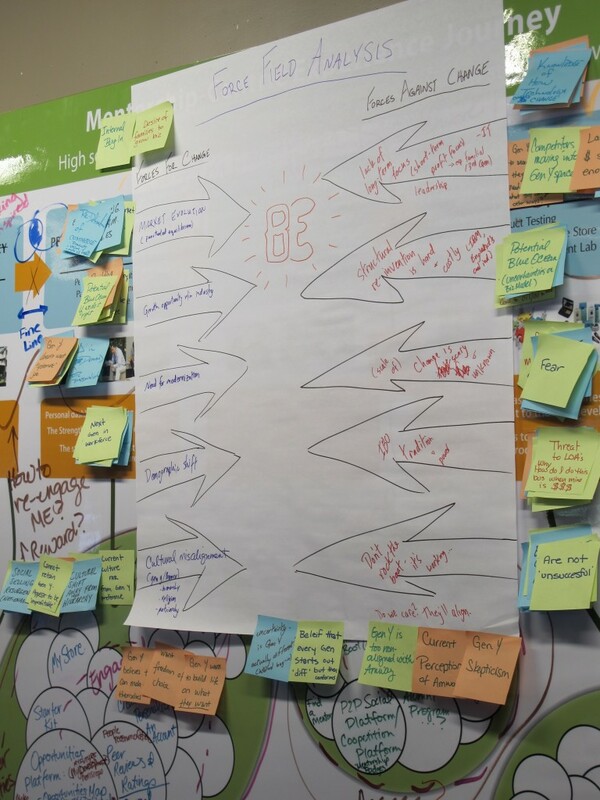 Ask them to review each idea AGAINST change and add a number to that sticky note, weighting that idea. 8. Gather all of the sticky notes FOR change and post them to any flat surface viewable by the players. 10. After the sorting activity is complete, begin a group conversation to create an overarching category for each cluster. For example, an overarching category for the cluster from step 9 might be “unsustainable costs”. 11. As the group makes suggestions and finds agreement on categories, write those categories inside the arrows on the main visual. 12. As you categorize each cluster, direct the group’s attention to the numeric scores within that cluster. Get an average for each cluster and write that number next to the related category in the arrow. 13. Repeat steps 8–12 using the sticky notes generated AGAINST change. 14. Add the quantities for and against change and write the totals at the bottom and on the appropriate side of the sheet. 15. Summarize the overall findings with the group, including the numeric totals, and discuss the implications of whether change should occur. 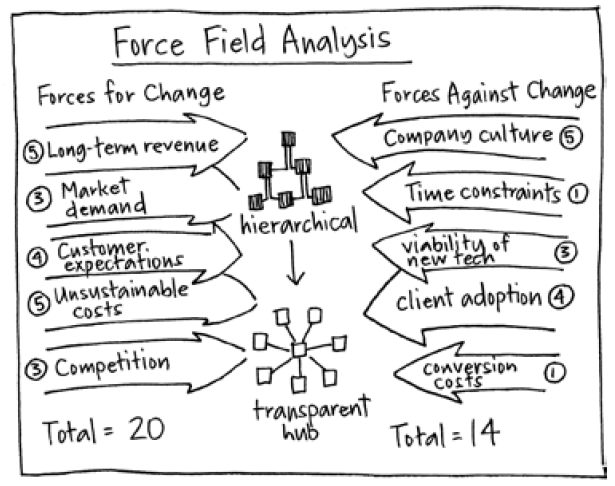 Often when you play the Force Field Analysis game, it will not be the first time the players have considered the change under discussion. Many of them will have preconceived beliefs about whether the change should occur. So, be aware of group dynamics—whether they’re eager for or resistant to the change. If you sense that they’re eager, encourage them to give equal consideration to forces against it. If they seem reluctant, encourage them to imagine their wildest dream with respect to this change and describe what’s already in place to support it. Don’t let employees with fixed perspectives on either side dominate the conversation. This game is about exploring the viability of change in an open-minded way. So, be sure to acknowledge and discuss any ideas that end up as outliers in the clusters—they frequently turn out to be valuable by offering unforeseen perspectives. Along that same line, don’t assume that the numeric totals resolutely answer the question of whether change should occur. The totals are another gauge by which to measure where the group may stand. Use them as fodder for further conversation and evaluation. And if you want to take the evaluation further, ask the group to look for meta-categories after they’ve brainstormed the categories within the arrows. Meta-categories should be a level higher than the categories generated from the clusters. They could include “politics”, “economics”, “company culture”, or “mid-level management”. Seeing meta-categories can also help the group determine where the bulk of the evaluation may need to be focused. 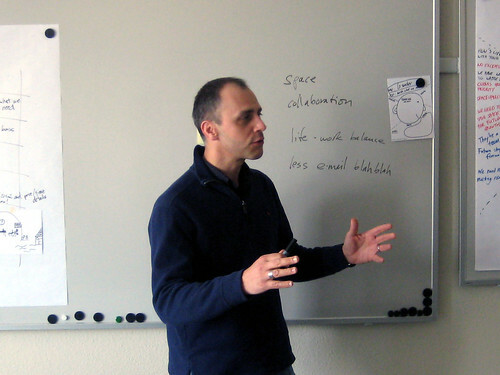 This game is based on the Force Field Analysis framework developed by Kurt Lewin. On any given day, we prioritize the problems that get our attention. Problems that are vague or misunderstood have a harder time passing our internal tests of what matters and, as a result, go unaddressed and unsolved. Often, meetings that address problem-solving skip this critical step: defining the problem in a way that is not only clear but also compelling enough to make people care about solving it. Running this short drawing exercise at the beginning of a meeting will help get the laptops closed and the participants engaged with their purpose. 1. 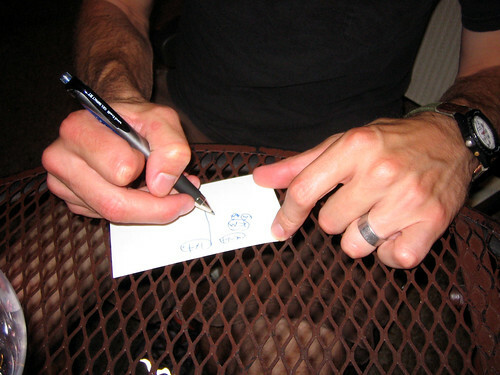 Each participant should have a large index card or letter-sized piece of paper. After introducing the topic of the meeting, ask the participants to think about the problem they are here to solve. As they do so, ask them to write a list of items helping to explain the problem. For example, they may think about a “day in the life” of the problem or an item that represents the problem as a whole. 2. After a few minutes of this thinking and reflection, ask the participants to flip over their paper and draw a picture of the problem, as they would explain it to a peer. They may draw a simple diagram or something more metaphorical; there are no prizes or punishments for good or bad artistry. The drawing should simply assist in explaining the problem. 3. When everyone is finished, have the participants post their drawings on the wall and explain them to each other. While the group shares, note any common elements. After the exercise, the group should reflect on the similarities and differences, and work toward a shared understanding of what the problem looks like to each other. This warm-up does not result in a problem definition that will satisfy an engineer; rather, it engages participants in defining the challenge in a simplified form. It is a first step in bringing a group together under a common purpose, elevating the problem above the noise to become something they care to solve. 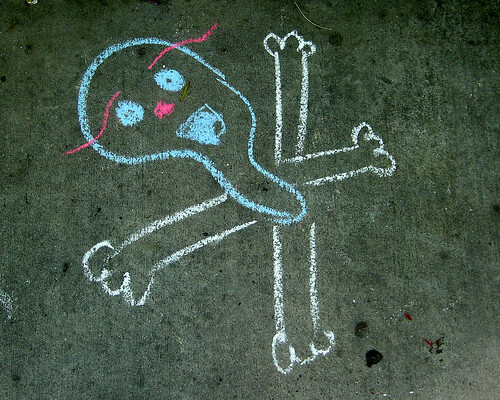 The Draw the Problem game is credited to James Macanufo.